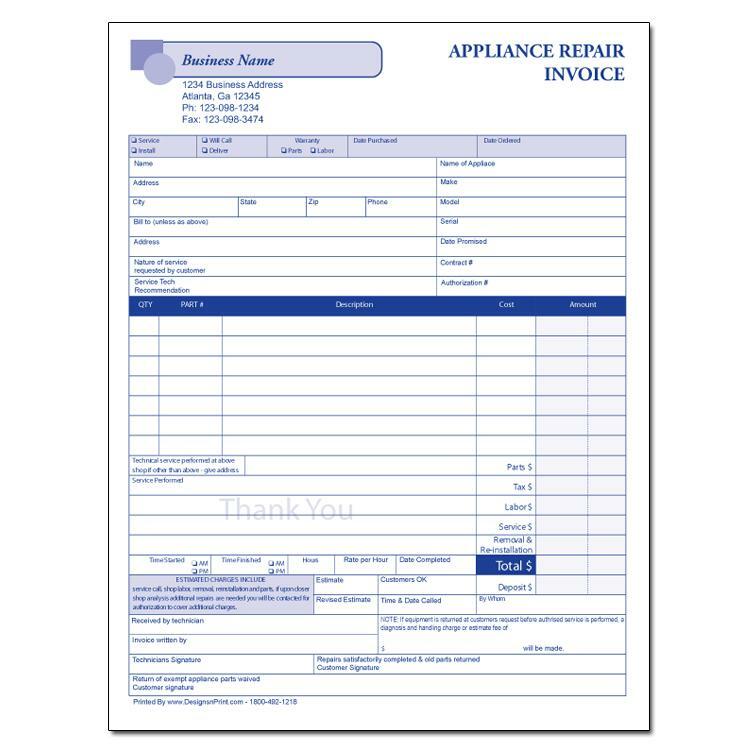 Personalize this Appliance Repair Invoice with your business information to strengthen brand and enhance company recognition. 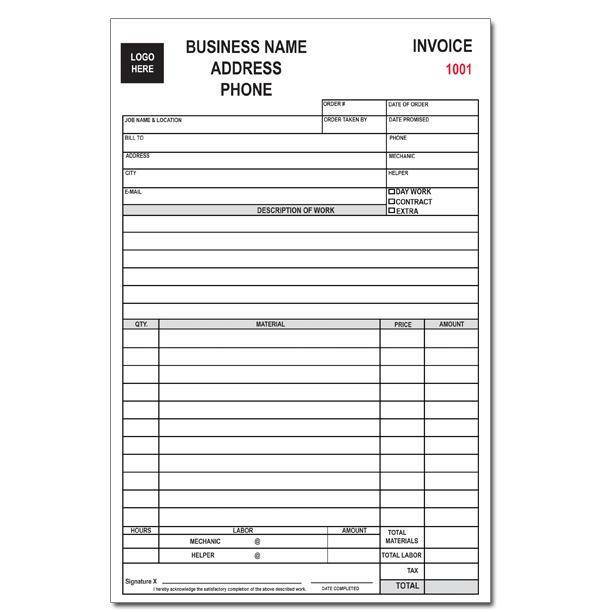 This invoice form can be used generally for any appliance repair business because it helps to capture the important information needed by you and your customer. A technician or contractor can easily record quantity, price, part number and description. It also includes an area for description of work or instruction. 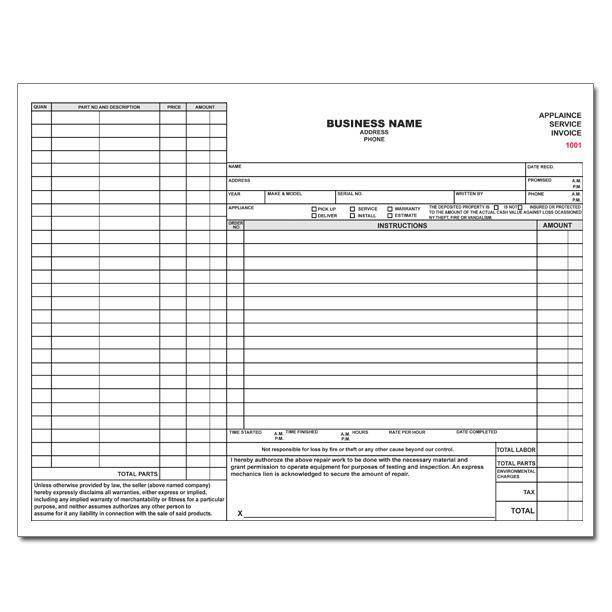 It is a large format carbonless form and can be printed in 2, 3 or 4 parts. Note that we can fully customize all sections to fit you needs and it can be made in a book format or as individual invoices glued at the top. 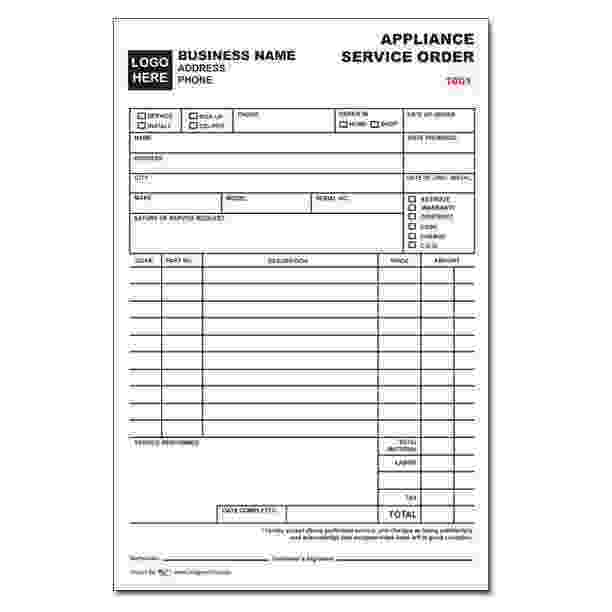 Appliance Service Form can be printed in any number of standard or none standard colors on 20 LB NCR paper. Please contact us if you have any questions about this NCR form.